Equatorial Guinea has held the first clinical trial of a new malaria vaccine known as PfSPZ. Three volunteers participated this month in the trial of the vaccine, which was developed by the American biotechnology company Sanaria. The trial took place at the La Paz Medical Center, the country’s premier medical facility, located in Sipopo, just outside the capital. The country’s Ministry of Health and Social Welfare has partnered with the several organizations and companies to test the vaccine: Ifakara Health Institute (IHI), the La Paz Medical Center, Sanaria, Marathon Equatorial Guinea Production Limited, Noble Energy, and Medical Care Development International (MCDI), which trained local staff to assist with the preparation of malaria vaccine trial. When the vaccine is applied, it can generate a strong immune response to protect the body against the parasite that causes malaria. In early tests, the drug has proven to be the safest and most effective possible vaccine to fight the disease. Equatorial Guinea is the second country in Africa to sponsor a malaria vaccine clinical trial. The government of Equatorial Guinea has waged an aggressive fight against the disease, which is endemic in West and Central Africa, through spraying, education, and distribution of chemically treated mosquito nets. It invested approximately three million U.S. dollars in 2013 for the Program to Fight Malaria, which has significantly contributed to the reduction of the disease on the island of Bioko and has been recognized for its effort by the United Nations and the organization Roll Back Malaria. According to the World Health Organization, in 2013 there were about 198 million cases of malaria worldwide. Many of which were fatal. The first PfSPZ vaccine trial in Equatorial Guinea will continue over the next year, with additional doses and follow-up visits. 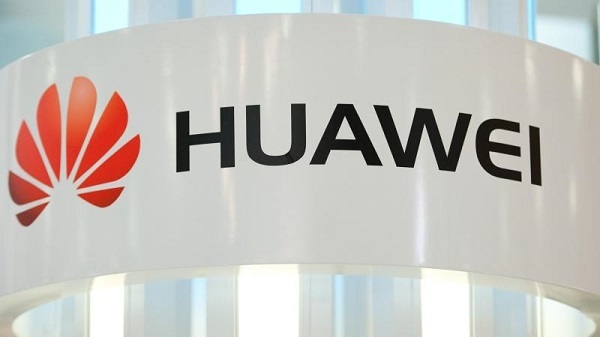 Huawei Marine Networks Ltd (Huawei Marine), in a press release, stated that they’ve been awarded a contract by the Equatorial Guinea government to build a Ceiba-2 Submarine Cable System. The cable system, which is expected to be ready in the fourth quarter of 2015, will enable the country connect to larger submarine cable systems including WACS, SAT-3, and Main One via Kirbi –consequently providing access to an European network. The 290 kilometre system will be featuring a capacity of eight terabytes per second (Tbps) and link Malabo to Bata (economic hub of the country) with a unit branching towards Kirbi, Cameroon. “It is our privilege to support the government of Equatorial Guinea by enhancing their international connectivity though the latest high-speed submarine cable infrastructure. Huawei Marine’s leading-edge solutions continue to be the preferred choice of governments, carriers and private sector partners providing critical telecommunications solutions and value to regions around the world,” Mr. Mike Constable, Chief Executive Officer, Huawei Marine Networks, added. The project will utilize Huawei’s Marine’s leading-edge Wavelength Division Multiplex (WDM) and Optical Transport Network (OTN) technologies. Equatorial Guineans will definitely welcome this laudable project after completion and hopefully enjoy the full potential it has to offer. The CPDS Deputy, Placido Mico. The Democratic Party of Equatorial Guinea (PDGE) replied to the deputy of Convergence for Social Democracy (CPDS), Placido Mico, who last March 10, was expelled from the Chamber, upon application of a sanction for his conduct. The incident occurred when, at a public meeting of the Commission for Complaints and Petitions, Mico made an accusation against the President of the Bureau of the Presidency of the Chamber of Deputies, Gaudencio Mohaba Mesu. For this, the president of the Chamber applied the sanction of expulsion. Later, the deputy of the CPDS issued a statement to the media, stating that this expulsion was due to political reasons and personal animosity and political persecution against him. The Parliamentary Group of the PDGE which has majority in the Parliament of Equatorial Guinea, both in the Chamber of Deputies and the Senate, also expressed the position of this party, through a statement signed by its spokesman, Miguel Adjang Angue. On Saturday, March 7, the vaccination of the first three subjects of Malaria Vaccine PfSPZ took place, whose trials are held in Equatorial Guinea. This is a historic medical milestone in this project presented as one of the most advanced alternatives to end the disease. A moment during the vaccination trial. On Saturday, March 7, 2015, after almost over two years of work, the first three volunteers were successfully injected with the vaccine PfSPZ in the Medical Center La Paz of Sipopo. The team that participated in this important medical event consisted of staff from the Ministry of Health and Social Welfare (MSBS) of Equatorial Guinea; the Ifakara Health Institute (IHI) in Tanzania; the Medical Center La Paz in Sipopo, as well as members of the biotechnology company of Maryland (USA), Sanaria Inc., who traveled to Malabo to train local staff and assist with the preparation and formulation of vaccines. The PfSPZ vaccine (Pf for P. falciparum and SPZ for sporozoite, one of the stages of the parasite life) was elaborated by the American laboratory Sanaria Inc. It consists of weakened sporozoites, which can fully develop. When inoculated into a human body, the vaccine can generate a sufficiently strong immune response to protect the body against the bite of the parasite. In early tests, the drug has proved to be the safest and most effective possible vaccine to combat Malaria. It is a project of enormous historical and social significance, given that so far it has not been possible to achieve an effective malaria vaccine, due to the complexity of the parasite and its ability to adapt and evolve. According to the World Health Organization, in 2013 there were no less than 198 million cases of malaria worldwide. Many of these are fatal. Equatorial Guinea is leading the launch of this vaccine with support from the Government and through the Ministry of Health and Social Welfare and the Ministry of Mines, Industry and Energy. Equally important is the contribution and support of the Program for Malaria, an NGO with financial support from the Ministry of Mines, and private companies working in Equatorial Guinea such as Marathon, Noble Energy, Atlantic Methanol and EGLNG. The Government of Equatorial Guinea has invested considerable technical and material efforts to combat malaria. For example, the Executive invested approximately three million US dollars in 2013 for the Program to Combat Malaria, with which it has contributed decisively to the massive reduction of infection on the island of Bioko. Following the success of vaccination, the heads of this medical team and institutions working on the project celebrated the event with a special ceremony, in which the heads of the various institutions expressed the importance of the moment and highlighted the work done. The first PfSPZ vaccine trial in Equatorial Guinea will continue over the next year, with additional injections and follow-up visits. The First Vice President of the Republic of Presidential Affairs, Ignacio Milam Tang, traveled to Egypt, representing the Head of State, to attend the Conference on Consolidation and Development of the Egyptian economy. During his journey, he held several meetings. Milam Tang (in the center). The First Vice President of the Republic of Presidential Affairs, Ignacio Milam Tang, traveled to Egypt on behalf of the President of the Republic, H.E. Obiang Nguema Mbasogo, to participate in the Conference on Consolidation and Development of the Egyptian Economy, organized under the auspices of the President of the Arab Republic of Egypt, Abdel Fattah el-Sisi, which was held between March 13 and 15 in Sharm el Sheikh, in the south of the Sinai Peninsula. The conference is part of the action plan of the new Egyptian government towards the development of the country in the short term, to attract the attention of investors and the international community to achieve the recovery of the national economy. Over twenty heads of state and delegations were present at the opening ceremony of the conference. The participants in the ceremony agreed to hope for an Egypt free of conflict, finally overcoming the problems the country has experienced in recent years. They all expressed their willingness to support the country in its economic, social and political recovery. Also, during his stay in Egypt, Milam Tang granted separate audiences to Egyptian businessmen interested in the Republic of Equatorial Guinea. Accompanied by the Minister of Economy, Planning and Public Investment, Conrado Okenve Ndoho, and by Eustaquio Nseng Esono, Equatorial Guinean Ambassador accredited in Cairo, among others, the Head of Presidential Affairs first received Awad Tag El Din, President of the Egyptian company ACDEMA and former Minister of Health. With him he reviewed the project of creating a drug production industry in our country. After hearing the proposal presented by Tag El Din, the First Vice President recalled that the Government of Equatorial Guinea works on the Economic Action Plan Horizon 2020, the first phase of which has been completed, and that this new project could be framed in the second phase of industrialization in Equatorial Guinea. Milam Tang also held a meeting with Mohammed Mohsen Salah, Chairman of the Board of Directors of Arab Contractors, an Egyptian company established in Equatorial Guinea for over a decade. The meeting provided the opportunity to convey to the Egyptian side the condolences of the President of the Republic, H.E. Obiang Nguema Mbasogo, of the Equatorial Guinean government and people for the death of Ashraf Rateb, who was the director of this company in Malabo during the last decade and who recently passed away. The Vice President said that the Government wants to continue working with the company and encouraged the heads of Arab Contractors to diversify their investments in other productive sectors. The Ambassador of Equatorial Guinea in Spain participated in a talk about women held at the Museum of America in the capital of Spain. Angue Ondo described the changes in the lives of women in recent decades: “When President Obiang took office, the Ministry of Women was first opened, which was revolutionary not only in Equatorial Guinea, but throughout the African continent,” said the Ambassador. The speech of the ambassador. The Ambassador of Equatorial Guinea in Spain was invited to participate in the series of talks on the lives of women in different countries and cultures, under the title Different But With the Same Dream, took place on Thursday, March 12, at the Museum of America in Madrid. The story told by Purificacion Angue Ondo not only showcased the lives of women in our country, but in general, throughout the African continent. The Ambassador began by summarizing what the traditional feminine world was like a few years ago, and how ignorance and customs of various ethnic groups contributed to the lack of rights and freedoms of women. But, as she said, with the arrival of young military officer Obiang Nguema Mbasogo to the presidency, there was a complete break, and a landmark in the evolution of women in Equatorial Guinea. For starters, she recalled the first Ministry of Women was created, which represented a revolution in the country and the African continent at the time. The Ambassador also recalled the great evolution of women in Equatorial Guinea in recent years and explained that women have held many important positions in the country institutions, such as the President of the Senate. When mentioning the remaining challenges, Angue Ondo especially highlighted gender violence in the household. Participating in the debate, in addition to the Equatorial Guinean legatee, was Concepcion Garcia Saiz, Director of the Museum of America; the Ambassador of Mexico in Spain, Roberta Lajous Vargas; the Director of the Asian House in Madrid, Teresa Gutierrez del Alamo; the Ambassador of Sweden, Cecilia Julin; the Business Attaché of the Embassy of Australia, Helen Smith and Maria Jesus Herrera Ceballos, Head of the Mission of IOM in Spain. Text and photos: Ines Ortega. The Popular Republic of China has made the delivery of two new ambulances and medicines to the hospital in the Equatorial Guinean capital. The representatives of the Embassy of the People’s Republic of China in Equatorial Guinea and the Ministry of Health and Social Welfare signed documents confirming the donation from China, two ambulances and antimalarial medicines to the General Hospital of Malabo. The event was attended by Cui Weilei, Business Attaché of the Embassy of China; Miguel Obiang Abeso, Delegate Minister of Health and Social Welfare, and Abu Bakar Gaye, Representative of the World Health Organization (WHO) in Equatorial Guinea. The Business Attaché of the Embassy of China said the donation of two new ambulances was a continuation of the delivery that was made last year, after identifying new needs of the health sector in this country. For his part, the Delegate Minister of Health and Social Welfare expressed his gratitude for the donation, stressing that China’s generosity should not surprise Equatorial Guineans, because China has assisted Equatorial Guinea for a long time in its health development. Following the signing of the minutes, the Business Attaché of the Embassy of China and the WHO Representative in Equatorial Guinea, together with the directors of the hospital, visited the Department of Ophthalmology and talked to the doctors and patients to hear about the job performance of the Chinese doctors sent by the government of that country, within the framework of bilateral cooperation. It is noteworthy that since 1970, the Chinese government has sent 27 medical groups to Equatorial Guinea with a total of 483 health professionals who have worked in hospitals in Malabo and Bata. Last weekend the First Joint Commission between Chad and Equatorial Guinea took place with the signing of several cooperation agreements. Following the signing of the agreements, the Equatorial Guinean Minister of Foreign Affairs and Cooperation, Agapito Mba Mokuy, in conversation with www.guineaecuatorialpress.com highlighted their importance. The Director General of ORTEL, Hermogenes Nzang Esono, visited this Murcia university to attend the start of the course that will be taken by a number of national employees of the entity. There is a total of 36 Equatorial Guineans who will be trained in groups of six, and who will study subjects related to telecommunications, regulation of markets, accounting and human resources, among other studies. This project is funded entirely by the Government of the Republic of Equatorial Guinea. The Director General of the Regulatory Body of Telecommunications in Equatorial Guinea (ORTEL), Hermogenes Nzang Esono, was greeted first by the president of the Catholic University of Murcia (UCAM), Jose Luis Mendoza, with whom he discussed the activities and complements that will characterize the education of the employees of the public body during their student cycle. A total of 36 Equatorial Guinean professionals will specialize in various sectors, and receive comprehensive training for the better functioning of ORTEL. According to officials of the university, the students will be trained in groups of six in areas such as telecommunications, administration, accounting, finance and human resources, among other specialties. Nzang Esono, while in Spain, was able to visit the installations of the Murcia University and the Campus Los Jeronimos, the place of training and residence for the students. The Director General described the visit as positive and expressed hope that the employees of ORTEL will specialize according to the signed agreements. On the other hand, he also met with the Vice President for International Relations of the UCAM, Pablo Blesa, with whom he discussed other issues related to the implementation of training, which began this month of March. Finally, Nzang Esono visited the company COTA, dedicated to the measurement and treatment of radio waves; a venue where the Equatorial Guinean graduates of the UCAM will intern for two weeks before their return. From March 3 to 5, in the city of Doha, State of Qatar, the 21st Session of the Executive Council of the Gas Exporting Countries Forum took place, whose headquarters are located in that country in the Persian Gulf. The meeting was chaired by the representative of Libya in the council, Mohamed M. Oun, in his capacity as rotating president in 2015, assisted by the representative of Nigeria as an alternative president and the secretary general of the organization, Hossein Adeli. Participating in the meeting were the representatives of member countries of the forum belonging to Algeria, Bolivia, Iran, Libya, Nigeria, Qatar, Russia, Trinidad and Tobago, United Arab Emirates and Venezuela, in addition to Peru and the Netherlands as observers. Equatorial Guinea (also as a member country) was represented by Cesar Augusto Hinestrosa Gomez, Director General of EITI (Extractive Industry Transparency Initiative) together with technical experts from the Ministry of Mines, Industry and Energy. The meeting was divided into two phases. The first took place on March 3, discussed aspects of long-term strategy of the forum, and was conducted by the High Level Group for Long-Term Strategy. In the second phase, on March 4 and 5, held the Executive Board itself, in which administrative and strategic organizational issues were addressed in addition to the initial preparations for the celebration in Iran of a Summit of Heads of State this year 2015. The Gas Exporting Countries Forum (GECF) is the union of the world’s leading countries in the production of gas, which was created with the aim of increasing the level of coordination and strengthen collaboration between Member States. Equatorial Guinea is part of this organization since 2010; in 2012 it chaired on a rotating basis the Council of Ministers held in Malabo in November of that year. In 2013 there was a Summit of Heads of State in Moscow (Russia), which was attended by H.E. Obiang Nguema Mbasogo, President of the Republic, Head of State and Government.